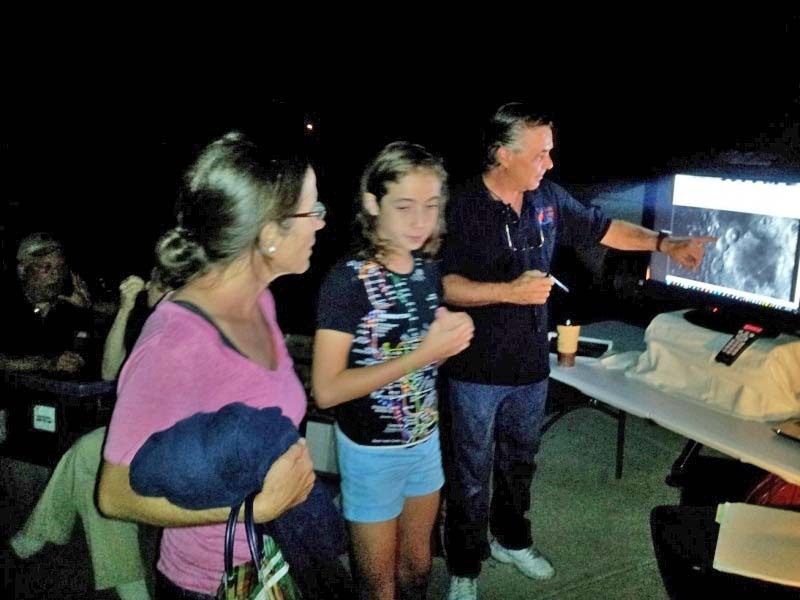 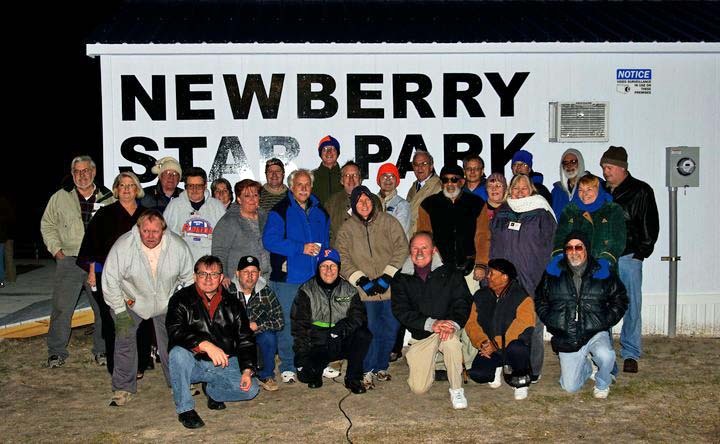 About NSP: Newberry Star Park (NSP) is Alachua Astronomy Club's observing site at the Easton Newberry Sports Complex (ENSC) in Newberry, Florida. 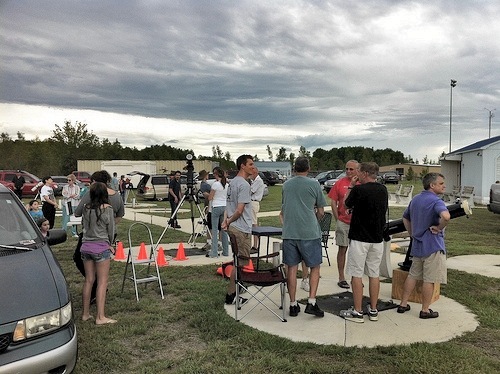 NSP includes a 12-ft x 28-ft storage building, eight observing pads and room for additional telescopes. 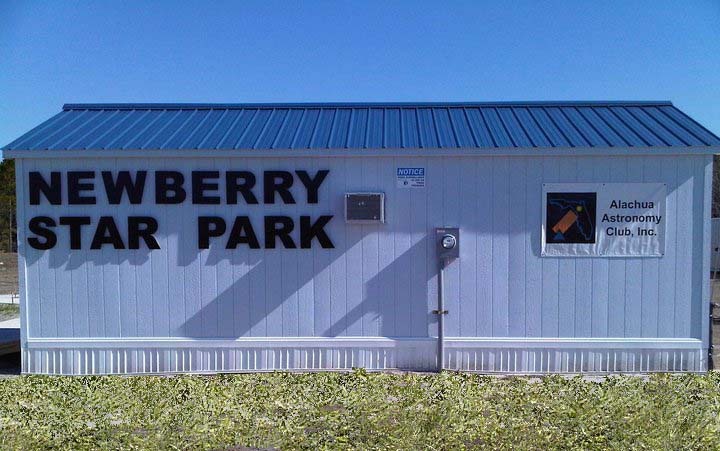 Restroom facilities are nearby including the main building of the Easton Newberry Sports Complex. 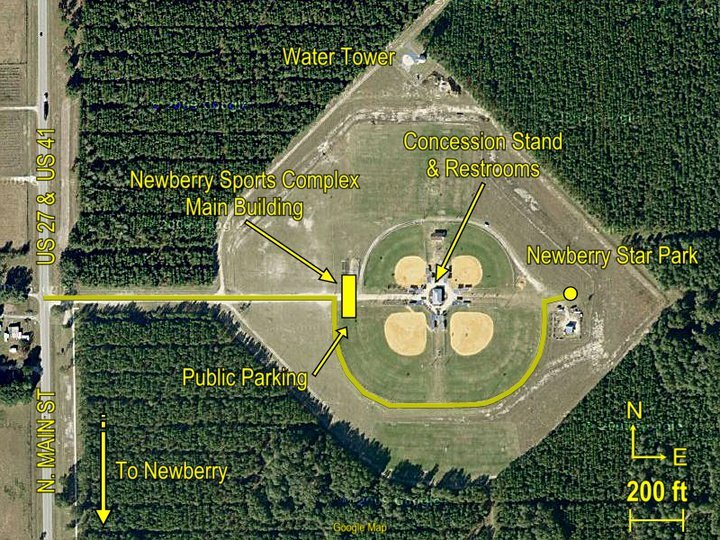 Built in 2010 with first light in January 2011, Newberry Star Park is 15 miles southwest of Gainesville. 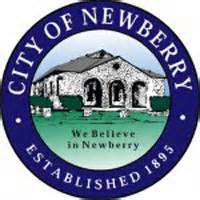 Parking: You may park at the main building of Easton Newberry Sports Complex. 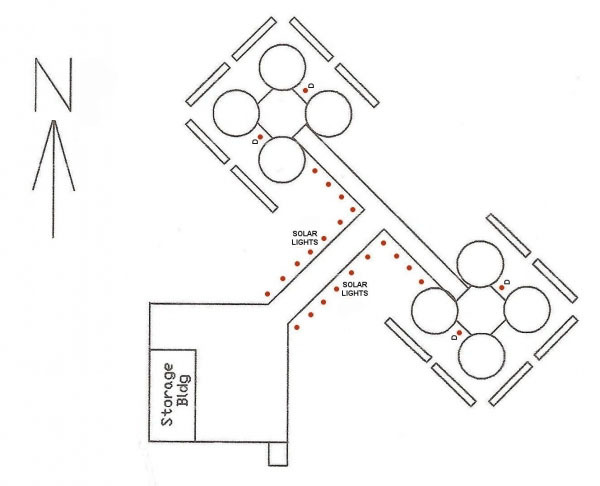 Alternatively, you may drive the yellow line (see map below) to NSP and park on the grass.